with different amenities and sizes. Please click on the park name to find more information. All Parks are open from sunrise to sunset unless otherwise posted. This program is designed to insure the preservation and safety of our parks by soliciting help from citizens to watch the parks in their neighborhoods. Thank you for helping to keep our parks safe for everyone. To report an emergency or law violation, please call 911. To report a maintenance issue, please call 336-883-3514. The Adopt A Park program encourages citizens and community groups to become involved in the beautification and enhancement of our parks and trails. Projects include litter pick up, beautification, and flower bed maintenance. For shelter reservations at Allen Jay Park, Armstrong Park, Cedrow Park, Deep River Park, and Macedonia Park, please call 336-883-3469. For shelter reservations at Oak Hollow Park, including Festival Park, North Overlook, and Sailboat Point, please call 336-883-3494. For shelter reservations at High Point City Lake Park, please call 336-883-3498. 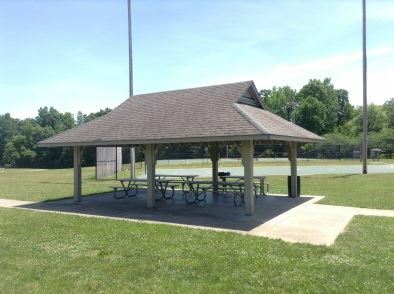 For shelter reservations at Washington Terrace Park, please call 336-883-8599. You may also reserve a shelter online. Reserve here. High Point offers paved and natural surface areas for walking, jogging or biking.